Planting a tree is the perfect antidote to spring fever. We know winter isn’t over and temperatures will dip and clouds will roll in blocking the sun’s warmth. However, when Mother Nature blesses us with a few warmer winter days, we suddenly get hit with the desire to spruce up the landscape and make improvements to the home. New homeowners seem particularly vulnerable to spring-fever, wanting to make their new house their home by adding significant interest and aesthetic charm. 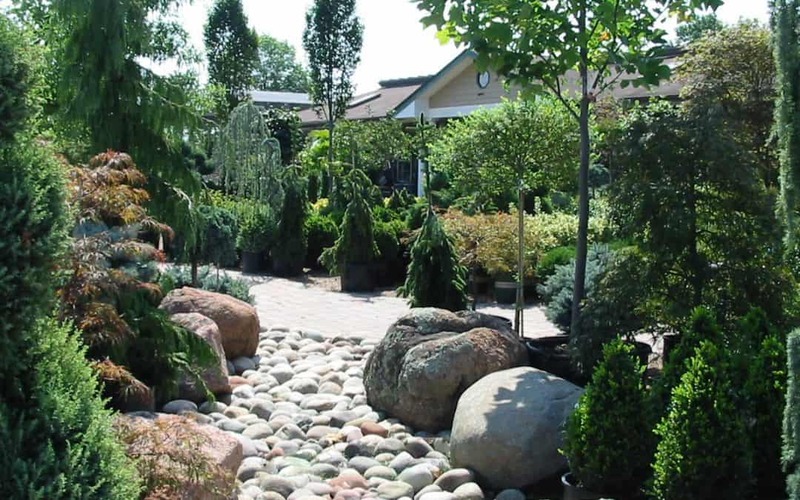 New trees are frequently added to their wish list, indeed a great place to start for adding structure, focus and balance to their new landscape. If you are thinking along these terms, here are 6 easy steps to follow to plant a tree. Don’t blow it…we mean it literally…as in utility lines. Countless times homeowners have forgotten this critical and potentially costly step in locating all utility lines before you dig. Your city or town will be able to locate the lines at no cost. This might mean you have to wait until a true thaw takes place. Once you are able to dig, accurately measure the appropriate size hole to dig, saving time and your back muscles. Lower your tree into the newly dug hole. Mix in soil amendments with the native soil and backfill about a third of the way. Fertilize with root stimulator and water. Backfill the remainder of the hole with a mix of native soil and soil amendments and compact. Put mulch around the tree. (Learn more about how to mulch properly.) Water again. Consider staking the tree for one year to keep your new tree strong and steady. Set a reminder on your calendar to remove the stakes after a year. Planting a tree can be pretty easy if you just follow a few steps. However if you are thinking that this project involves more thought and muscle than you anticipated, no need to worry. Contact us. We can help you before you find yourself out on a limb. Planting that first tree will make spring feel a little closer, even if it is still weeks away.